The Ocean Conservancy, the North American Marine Environment Protection Association (NAMEPA), the California Coastal Commission and the California State Parks Division of Boating and Waterways invites all boating facilities, boating groups, sailors, fishermen and water enthusiasts alike to consider celebrating the aquatic ecosystems we love by holding a marina or boating facility cleanup as part of the National Marina Day celebration! By boat, on foot, at your local marina or elsewhere, please join the movement! One of the most universal problems we face when it comes to a clean and healthy ocean is quite simple to understand: trash. Marine debris is found nearly everywhere, from coastal inlets to remote open-ocean and from surface to seafloor. Impacts of ocean trash are vast and significant, threatening wildlife, human health, local economies, tourism, fishing, water quality and maritime safety. Fortunately, we can all play a role in the solution. Register Here and we'll send you a FREE Cleanup Toolkit for your event including trash bags and disposable gloves. Your Toolkit will also contain our Volunteer Ocean Trash Data Cards to track the collected trash. Fill out this simple form and send it back to Ocean Conservancy where your data will be added to our global ocean trash database. These numbers are vitally important in informing the best solutions to tackle waterways trash. Don't want to carry the data card? Download our mobile data collection app Clean Swell and submit your ocean trash data with the click of a button! Available for download in the App Store or get it on Google Play. 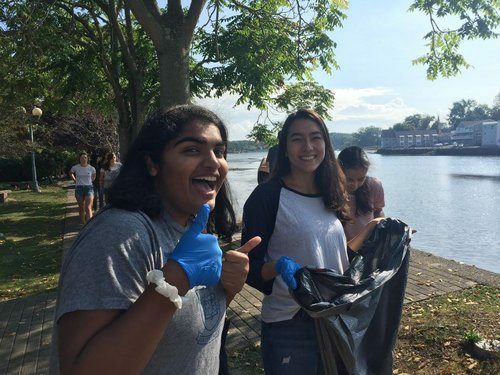 Consider incorporating a cleanup activity into your National Marina Day celebrations (June 9) or hold a cleanup after 4th of July festivities. The summer months are busy, so "Marina Cleanup Day" can be whenever you'd like it to be! We'll be sending Cleanup Toolkits throughout the summer. Register your marina, yacht club, boat ramp, etc. 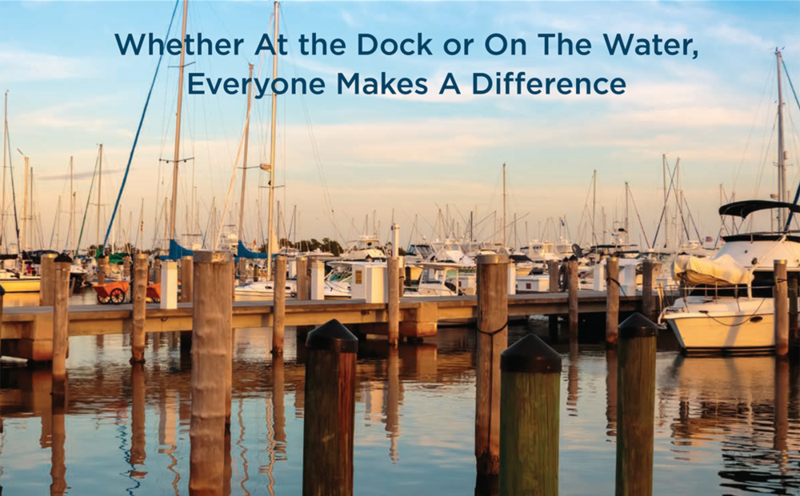 Whether at the dock or on the water, everyone can make a difference! WANT YOUR BOATING FACILITY TO BE PART OF THE BIGGEST INTERNATIONAL VOLUNTEER EVENT IN SEPTEMBER? Join us during the annual Ocean Conservency's Coastal Cleanup Day on September 16th (9am - 12 pm). It's EASY - Watch a video of Sequoia Yacht Club's Coastal Cleanup Day. Contact us at (415) 904-6905 for more information. Please contact Nina Quaratella at n.quaratella@namepa.net. Every donation counts. Your tax-deductible donation will help us protect the marine environment, support the marine industry, and educate communities to Save Our Seas.